We have maintained a presence in the region for over 7 decades; helping design, build, operate, maintain, and modify some of the world’s largest and complex facilities. Wood has a reputation for a sound understanding of critical project execution issues that need to be considered when operating in the region. We actively engage with our customers and are flexible in our approach to using cost-effective strategies in delivering projects. 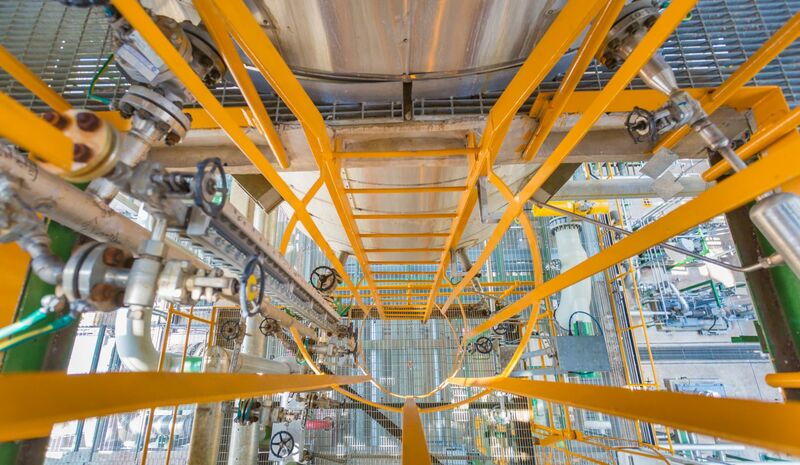 Our history of executing successful mega projects in the Middle East provides customers with confidence of Wood's capabilities which are aimed at extending asset life through enhanced production, recovery and reduced operating costs. Extending across a range of end markets, we are also breaking new ground in technology and applying innovative solutions to deliver more efficient solutions to our customers. Our regional organization is headquartered in Abu Dhabi, with representative offices across the United Arab Emirates, Iraq, Kuwait, Oman, Qatar, and Saudi Arabia. We’re committed to creating value for customers while supporting long-term national development visions and economic diversification across the Middle East. We do this by implementing various educational and development programmes across our regional operations. Our Engineer Your Future (EYF) programme is one such initiative. EYF has been established to build a proactive learning culture within our company and focuses on the development of members to reach their full potential by identifying what skills, knowledge and experience individuals need to progress along their chosen development path. The EYF community consists of graduates and trainees and is represented by the EYF panel. The ownership of the panel is shared between the EYF community and leaders of the Middle East Wood business. This ownership is designed to foster engagement, improve communication and build a sense of belonging. We are also actively engaging with universities and professional bodies in the region, regularly supporting educational initiatives that foster young talent. We develop local capabilities through initiatives which include seconding employees to different Wood locations worldwide providing career development opportunities, a chance to acquire new skills and experience, and broaden horizons. Majnoon is one of the world's largest oil fields, estimated by the Iraqi government to hold about 38 billion barrels of oil. It is being executed by Shell Iraq Petroleum, as project operator with other partners Petronas and Iraqi Ministry of Oil. We were responsible for the provision of skilled resources, tools, services and test equipment to assist start-up, commissioning and testing of the new production facilities in the Majnoon oilfield. New production facilities included well sites, a central production facility and all new-build facilities and utilities required to operate the field, including pipelines and infrastructure. The Majnoon project consisted of a two-phase development - First Commercial Production (FCP) and Full Field Development (FFD). In supporting SIPD with the FCP enterprise, we successfully upmanned and mobilised over 180 personnel to support with the start-up and ongoing operation of the Majnoon oilfield. SIPD were able to reach the FCP on schedule, as a result the project moved into phase 2 in 2014. We also executed the design phase to help build new facilities and rehabilitate existing infrastructure tied to the Majnoon oilfield. We are undertaking a three-year framework agreement to complete conceptual studies and pre-front end engineering design (FEED) work to support BP's plans to sustain and grow production at Rumaila oil field in Iraq. Rumaila is one of the world's largest oil fields and the largest producing field in Iraq. It is situated in the southern region of Iraq and has been producing since 1954. 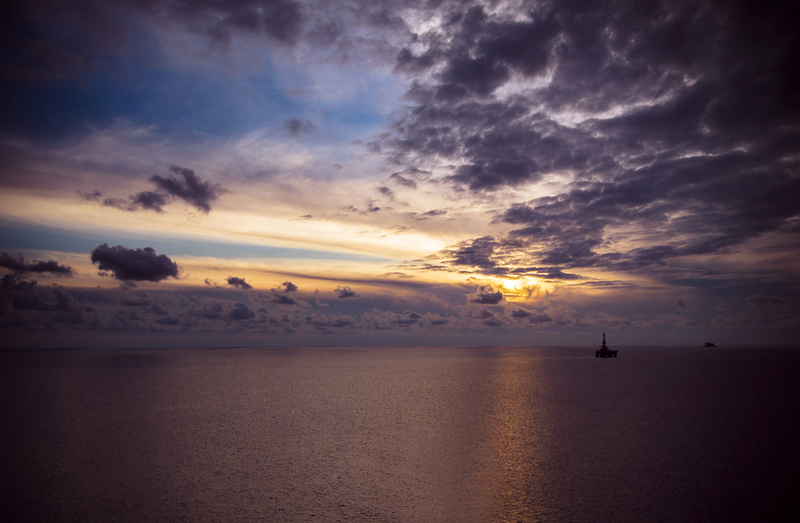 Average daily production in 2014 was 1.34 MMbopd, part of a trend that has seen daily production rise from around 950,000 bopd in 2010 when BP began work. Rumaila now delivers more than a third of Iraq’s oil. Our scope of work is to carry out engineering studies for facilities and infrastructure that are crucial for Rumaila field to sustain and increase production. We undertook several studies on the Rumaila field back in 2010. We have a long–term project management contract with KOC and provide consultancy services across a series of projects, from concept through to construction management and execution. We are also working on a change programme to support KOC in its transition, sharing our commercial skills and working with our customer to modernise their contracts. Our managed projects have now exceeded over 60 million person-hours without a lost time incident. 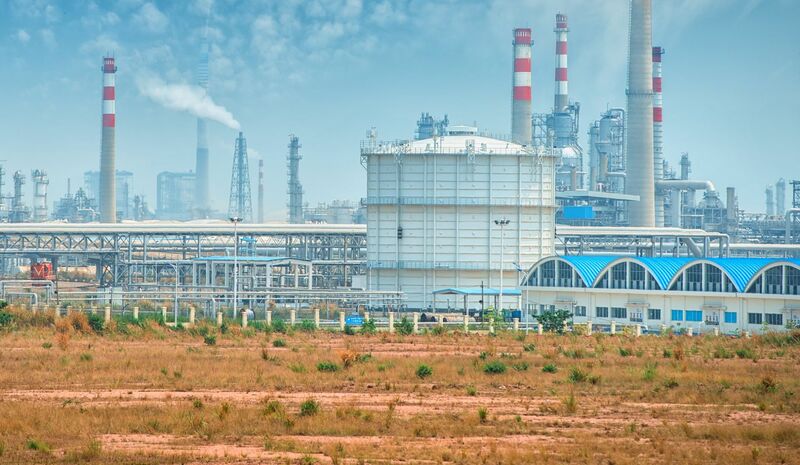 We are providing front end engineering design (FEED) which will lead to project management consultancy (PMC) services for the planned integration project between Olefins III, Aromatics II and ZOR Refinery in the State of Kuwait. The six-year contract builds on our significant expertise in petrochemicals and refinery integration, alongside the impressive track record of delivering PMC services to Kuwait Petroleum Company (KPC) subsidiaries in Kuwait. The new petrochemical facility will be integrated with the new Al-Zour 615,000 barrels per day refinery, which will be one of the largest refineries in the region. Duqm Refinery, project management contractor (PMC) for the refinery’s engineering, procurement and construction (EPC) phase. Wood is providing PMC services which are to be delivered as part of an Integrated Project Management team (IPMT). 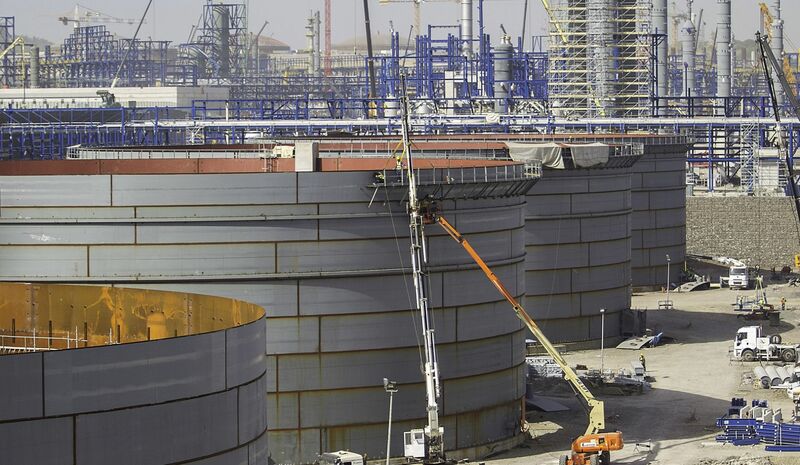 Duqm Refinery and Wood jointly established the IPMT consisting of Duqm Refinery personnel and Wood to provide management, administration and supervision of Duqm Refinery contracts related to the project. The IPMT monitors the EPC contractor’s performance and verifies compliance with the EPC contracts, project specifications, project master schedule and project procedures in accordance with the standards set by the Duqm Refinery. Wood provided engineering, construction, maintenance and support services for existing PDO facilities onshore in Southern Oman. At peak, the contract had a workforce of more than 3,000 personnel operating across the three primary production centres in Baja, Marmul and Nimr. Engineering and project maintenance management teams were based in the capital city of Muscat. The ORYX GTL is a synthetic fuel plant based in Ras Laffan Industrial City, Qatar, and owned by Qatar Petroleum and Sasol. The plant is a ‘world first’: the first plant to convert natural gas to liquid fuel using low-temperature Fischer-Tropsch technology. The facility was designed to produce 34,000 barrels per day (bbl/d) of liquids comprising 24,000 bbl/d of low emission, high performance GTL diesel, 9,000 bbl/d high-grade GTL naphtha and 1,000 bbl/d LPG from a lean natural gas feedstock. Wood executed the feasibility and front end engineering design (FEED) for this innovative project in conjunction with Sasol; and were an integral part of the joint Project Management Team (PMT), which also included Sasol and Qatar Petroleum personnel. We were selected to develop the world’s largest fully integrated crude oil to chemicals (COTC) complex in the Kingdom of Saudi Arabia, on behalf of Saudi Aramco and SABIC as the first PMC contractor. Wood will provide front end engineering design (pre-FEED and FEED) and project management services during the engineering, procurement and construction (EPC) phase, supporting the development of the complex that is expected to process 400,000 barrels per day and approximately nine million tons of chemicals and base oils annually. A five-year contract to provide services including front end engineering and design (pre-FEED and FEED), and overall programme management. Support services are also being delivered for a further 300,000 bpd gas/oil separation train, a gas processing plant, and a cogeneration facility. Work also includes modifications to an existing facility to increase its natural gas liquids fractionation capacity. Wood is providing project management consultancy (PMC) services for the UZ750 project in the Upper Zakum (UZ) field, located 84 kilometres north-west of Abu Dhabi. We have been engaged on the UZ750 project since June 2008 when we were awarded the initial PMC contract. The UZ750 project is an important investment for both ZADCO shareholders and Abu Dhabi, given it will achieve and sustain oil production at one million barrels of oil per day until 2050 and beyond. Al Hosn Gas, a joint venture between the Abu Dhabi National Oil Company (ADNOC) and Occidental,We executed the front end engineering design (FEED) for the expansion of the enormous Shah Gasfield Development, located 210 kilometres southwest of Abu Dhabi City. The sheer size of the facility and equipment, in addition to the technology that is used to process the gas and the complexity in constructing such large facility formed a new benchmark in the industry.